Anglo-Norwegian composer/songwriter/singer Sasha Siem (right) is one of the most exciting emerging acts of recent months. Her debut track “My Friend”, which was produced by Valgeir Sigurðsson (Sigur Ros, Bjork, Bonnie Prince Billy, Feist), was a beautifully constructed and performed chamber pop track about a friend on the cusp of losing it all. Sasha’s debut album Most of the Boys – genuinely one of the most original releases we've heard in a long time – is out on March 1st. In the meantime have a listen to "My Friend" along with the jarring "So Polite," the latest track lifted from the album. Think Antony and the Johnsons via Bjork with Hildur Gudnadottir on cello. Newly resurrected feminist post punk act Sleater-Kinney’s eighth studio album No Cities To Love has been long anticipated and a bit of a worry. Could the trio rise to the legendary status of their early work or will be it be a case of cashing in and knocking out derivative shite? 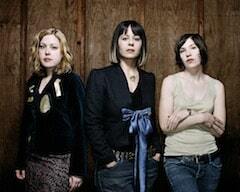 Happily, the former riot grrrl legends are on top form on what is probably one of their best albums to date. Occasionally heavier than fans might be used to, the album is nonetheless close to flawless and tight as a coiled spring. Have a listen to the album title track along with a painfully hip sing-along video featuring some of Sleater-Kinney’s hipster musician pals. No idea who most of them are but I think I spotted Rick Rubin, Actress and that (not) gay guy from The Walking Dead. 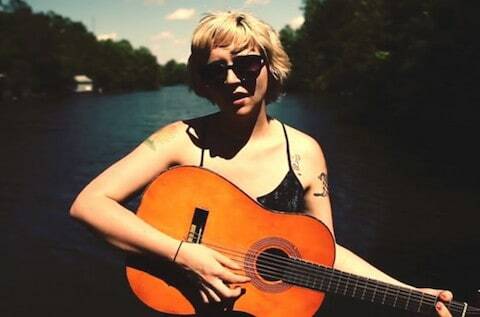 DIY singer/songwriter Waxahatchee (above) aka Katie Crutchfield, also one half of Great Thunder, has just dropped new track “Air” which is taken from forthcoming third album Ivy Tripp, out April 7, 2015 on Merge Records. Following up on the critical success of American Weekend and Cerulean Salt is not going to be easy but to address the problem it would appear that Crutchfield has retained the DIY sensibility while embracing a more accessible sound – al to great effect. Forever to be favorably compared to PJ Harvey, a better comparison for "Air" might be Scoutt Niblett on 2001's Sweetheart Fever. Fresh from a year of fairly impressive critical and commercial successes, Anglo-Russian singer and producer Shura continues to channel her inner Janet Jackson via 80s Madonna on latest track “Indecision”. With the track added to the In New Music We Trust list at Radio 1, going Top 10 on iTunes’ Electronic chart and reaching #1 on Hype Machine, Shura is currently writing and recordings songs for her debut album, set to be released later this year. Gemma Hayes is a singer/songwriter from Tipperary, Ireland. 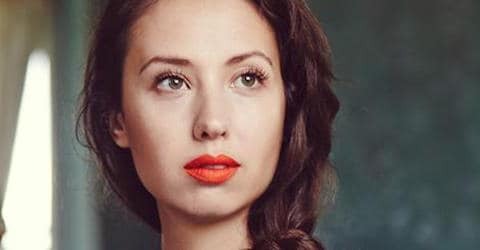 With a number of mainstream release under her belt over the last 15 or so years and a Mercury Prize nomination back in 2003, Hayes released her latest album Bones + Longing in November of last year. Releasing her first songs in her early 20s, Hayes started off her career with a folksy sound which has since refined itself sufficiently to garner critical praise, comparisons with the likes of PJ Harvey, Beth Orton and Heather Nova, and a degree of well-deserved commercial success. Resistor is a synth pop duo from Philadelphia. Latest track “Cordless Phone” opens with minor key chords worthy of OMD and follows through on the promise with a gloriously retro gorgeous downtempo synth pop track with irresistible boy/girl vocals.